I love chocolate. Love chocolate. If anybody wants to know what to get me, a block of 75% or greater will do. Ta. I have been toying with putting up a chocolate mousse recipe for a while now but the recipe I used to make, while delicious, involved melting mini marshmallows and double cream. While I have no problem with double cream (see here and here, do I need to go on?) I did have a problem with the stomach ache that the sugary marshmallows gave me. Don’t get me wrong, I’ve made it three or so times over the last three years but a few months ago I decided that enough was enough and it wasn’t right to eat foods that left me feeling sick and guilty. That’s not to say you shouldn’t make it if you don’t have any issues with sugar. It does taste phenomenal but it’s definitely a sometimes food. 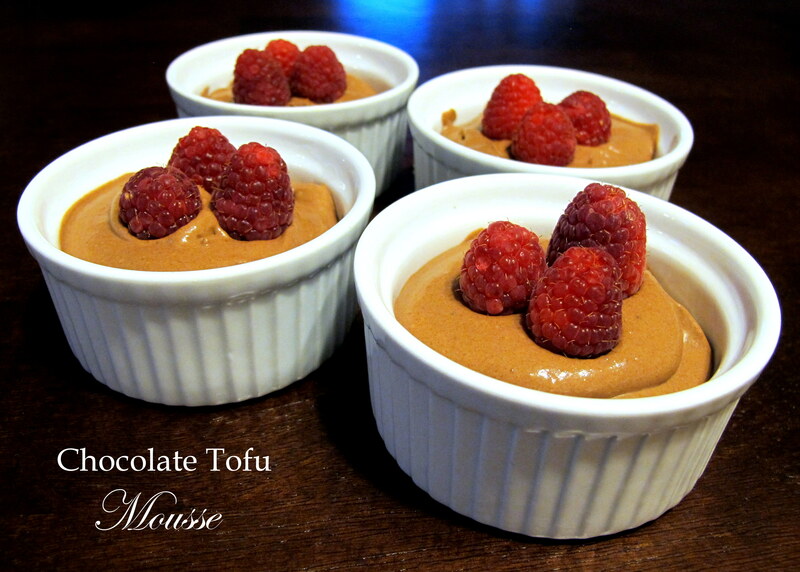 Evgeny and I were watching Alton Brown’s Good Eats a week or so ago and the tofu episode featured a recipe very similar to this one for chocolate pie filling (the American kind of filling) using, yes you guessed it, tofu. 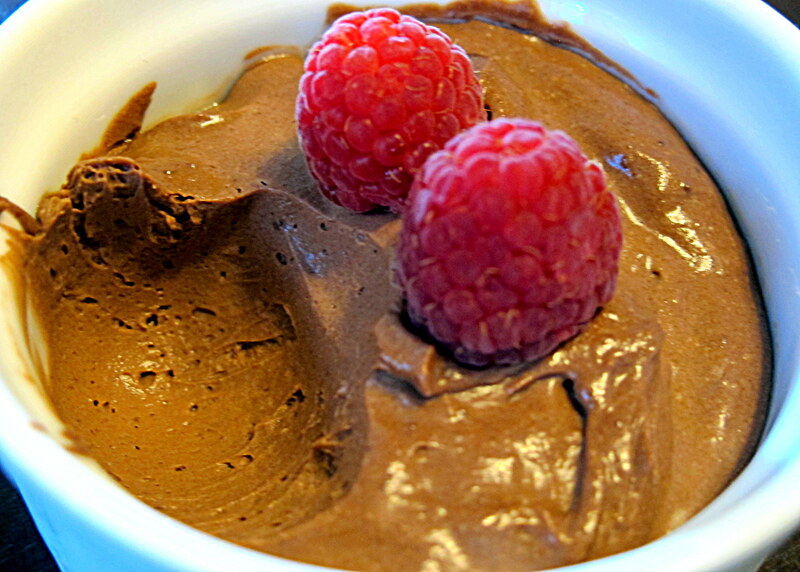 I didn’t see wobbly pie fillings when I saw the recipe – I saw chocolate mousse. I have heard of vegan mousses using avocado before but honestly, though I love avocado, mixing it with chocolate never sounded that appetising to me. This, on the other hand, was quick and easy enough to tweak it to be fructose friendly. Chocolate that is 75% or greater is considered low FODMAP in 30 g serves. Coconut oil can be used instead of normal butter for a vegan and lactose free option for those who are very lactose sensitive. Firm tofu, while made from soy beans, is considered safe for most following a low FODMAPs diet as it consists mainly of the protein, rather than the carbohydrates (galactooligosaccharides). It comes in different densities, so choose the softest one you can find. Beware of silken tofu, which hasn’t had the water content drained and is still high in GOS. The original recipe called for coffee liqueur – due to my stomach still not tolerating even a shot sized latte, I opted to swap this out for spiced rum. I have since found out that, while I can tolerate the tiny bit of rum, it’s not considered fructose friendly. You can add in any liqueur that you think would suit; Irish cream liqueur would be a good one if you can tolerate it, or simply leave it out. Golden syrup is tolerated by most fruct mals as it is made from cane sugar, so the fructose and glucose are present in equal amounts. Alternative safe sweeteners would be maple syrup or brown rice syrup. Using a double boil technique, melt the chocolate chips and butter over a low heat until smooth and creamy. 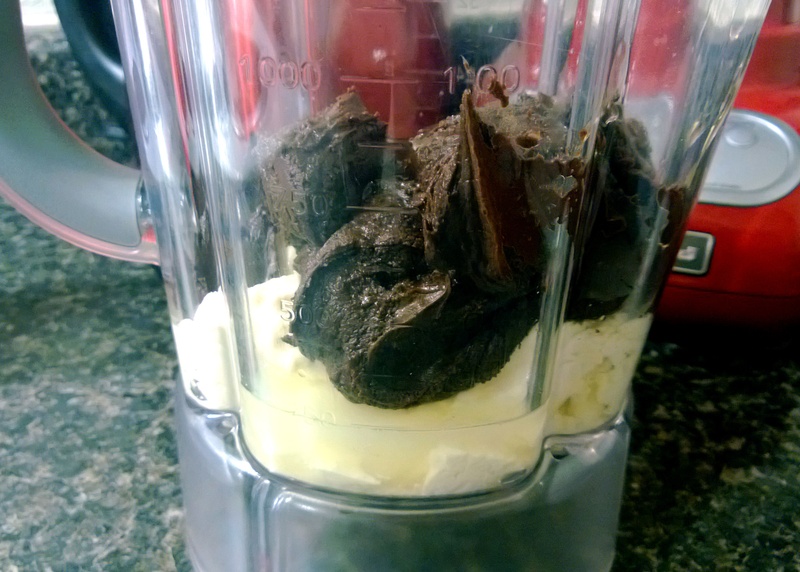 Once smooth, add all the ingredients into your blender and whiz until thoroughly combined. Taste it and add in a little extra golden syrup if you think it’s required. From here you must decide what to do with your mousse. Or as a tart filling, with one heaped tbsp. per shell: you can use either the GF sour cream pastry or the GF pie crust pastry. 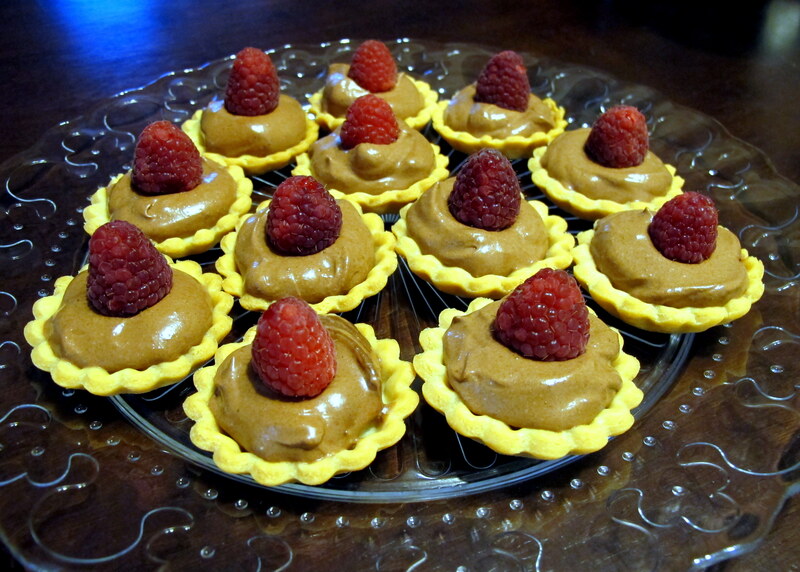 One quarter of the full GF pie crust pastry batch will make approximately 24 tartlet shells. 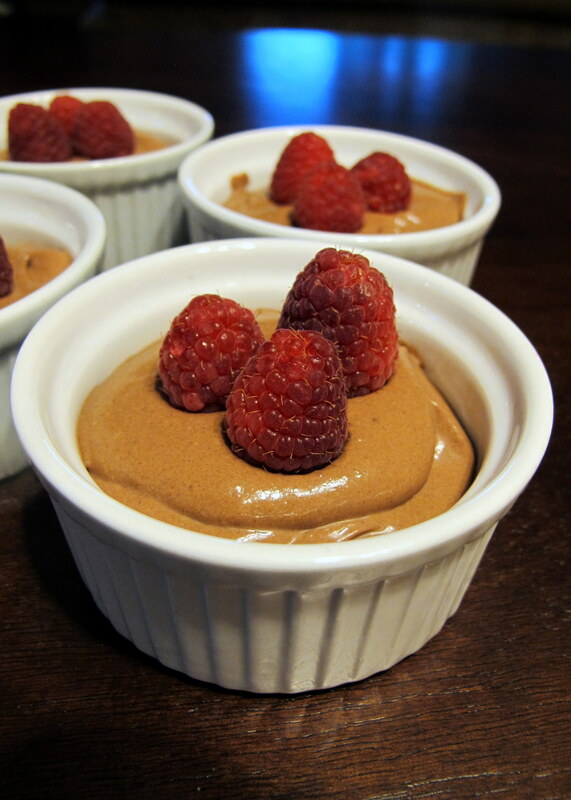 The beauty of this mousse, or any mousse, really, is that you can make them ahead of time for a dinner party and be free to concentrate on the entrees and mains. One ramekin, or two to three tartlets per person should be enough to serve for dessert. Like other mousses, it does requires refrigeration to set. A couple of hours is enough if you are stretched for time but the flavours really mingle if you leave it over night. 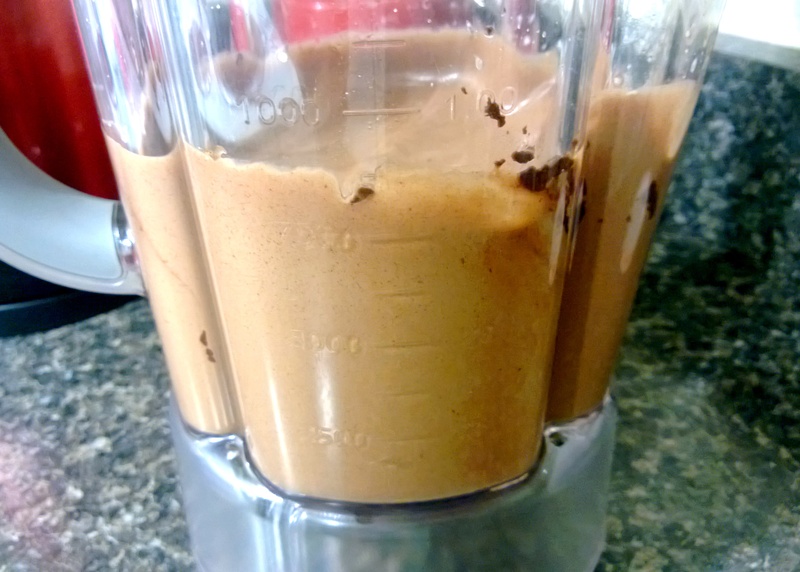 The texture is slightly different than real mousse – not quite as airy, though this could be because I didn’t blend it for long enough to aerate it. 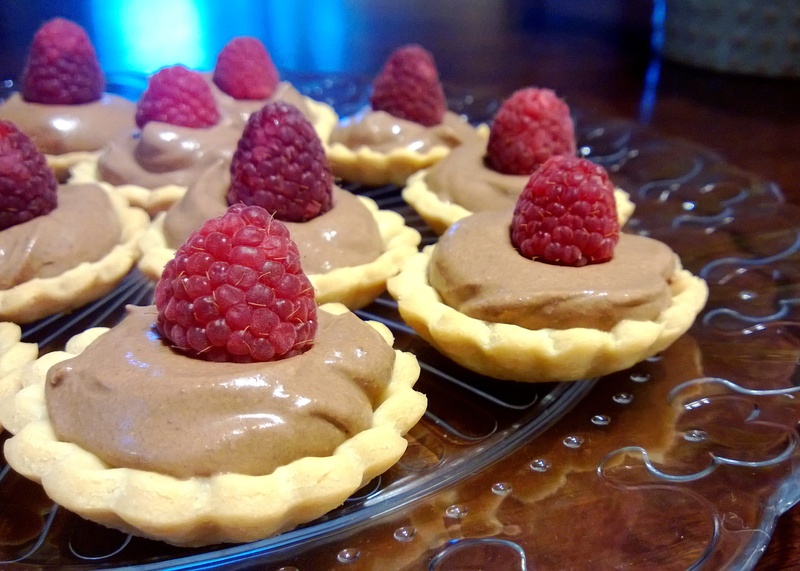 Topping with fresh raspberries before you serve just makes this a really rich and delicious dessert that doesn’t leave you with a queasy, guilty feeling post consumption. I love win-win situations! … But I don’t think Bailey appreciated this one. What a cruel twist of fate for him. Poor pup. 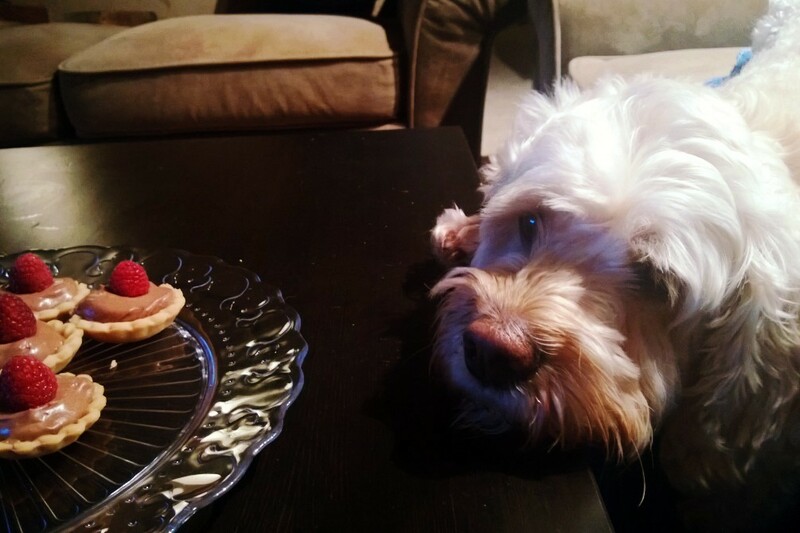 This entry was posted in Sweets and Desserts and tagged cockapoo, dessert, Dog, FODMAPS, food, fructose friendly, fructose malabsorption, fruit, gluten free, healthy, home-cooked, homemade, low fat, low fructose, low sugar, pastry, pie, sour cream pastry, spoodle, sweet, tart, vanilla, vanilla bean, vegan, vegetarian. Bookmark the permalink. Nat, I love those little tartlets. I’m on the hunt for tart tins, where did you get those?